Samari Studios served as a design consultant for this project with Rani Arbo, a fellow at the College of the Environment at Wesleyan University. The content organization, look-and-feel, layout, colors, and fonts were designed by Samari Studios with minor tweaks by the NML staff when the team built the site. 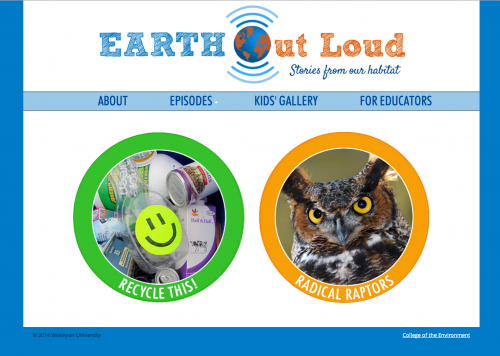 Designed for second and third graders and their teachers, this online project will grow overtime with audio and video elements as well as teachers guides and student galleries. Currently the Radical Raptors section is complete. Learn more about this project from the Wesleyan Connection.